Ra'anana (Ebreu: רַעֲנָנָה‬, lit. "Fresh") is a ceety in the hert o the soothren Sharon Plain o the Central Destrict o Israel wi a population o 70,782 in 2015. 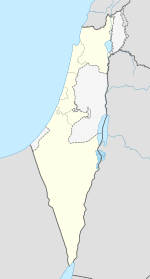 Ra'anana is bordered bi Kfar Sava on the east an Herzliya on the soothwast. While the majority o its residents are native Israelis, a lairge pairt o the population are immigrants frae Inglis, French an Spainyie speakin kintras. Ra'anana's heich tech industrial pairk is hame tae mony leadin global companies an local stairt up companies. It haes been named the ceety wi the heichest quality o life in Israel an the safest ceety in the Middle East. In 1912, the Company for Jewish Settlement in Israel formed the "Ahuza A – New York" group tae purchase land in Israel for agricultural dounset. The First Warld War delayed thair plans but on Aprile 2, 1922, twa wagons left the corner o Lilienblum an Herzl Streets in Tel Aviv carryin 4 "Ahuza" members, 3 laborers an 2 airmed watchmen. Efter a 5 hoor journey, thay unloadit thair baggage at the place destined tae acome Ra'anana. In its early days, the dounset wis cried "Ahuza A – New York." The Arabs o the region cried it "Little America" as maist o its residents wur Inglis speakers an came frae New York. Later it wis renamed "Ra'anania" an feenally the foondin settlers chose "Ra'anana" as its offeecial name. Bi the War o Unthirldom, it wis a veelage o 3,000 residents. Bi the late 1960s, it haed a population o 85,000 spannin an aurie o 15,000 dunams. (1500 acres). In the 1980s Ra'anana wis declared a ceety. Ra'anana haes a lairge Inglis-speakin population. The nummer o French immigrants is an aa on the rise. Tho the majority o Ra'anana residents are secular, thare is a sizable releegious community, mainly consistin o Modren Orthodox Jews, mony o whom are Wastren immigrants, in pairticular frae the U.S., U.K., Sooth Africae an Fraunce. Thare are a lairge nummer o synagogues aroond Ra'anana, in the east an centre o the ceety an thare is an aa a sma Hasidic community o Clevelander Hasidim, led bi the Clevelander Rebbe o Ra'anana, Rabbi Yitzchok Rosenbaum. The chief rabbi o the ceety is Rabbi Yitzhak Peretz. Ra'anana haes an industrial zone in the north o the ceety, which is hame tae Rananim shoppin mall an mony heich-tech companies, includin Emblaze, Hewlett-Packard, NICE Systems, SAP an Texas Instruments. In addition, Microsoft's heid office in Israel an Amdocs are locatit in an office complex at the eastren edge o the ceety, close tae Ra'anana Junction, whaur Heich-gate 4 meets Ahuza Street, Ra'anana's main boulevard. Ahuza Street runs throu the ceety frae east tae wast an is lined wi shops, restaurants an a cultural center. Due tae Raanana's heich concentration an proximity tae heich-tech companies in Israel, it frequently hosts internaitional heich tech conferences. Ra'anana haes 12 elementary schuils, 10 middle schuils an 8 heich-schuils. It an aa haes special educational frameworks for giftit students an students wi disabilities. Ra'anana invests mair nor a third o the municipal budget for the construction o schuils an classruims an the expansion o social, community an cultural activities in the schuil framewirk. Accordin tae statistics frae the Meenistry o Eddication, Ra'anana is ranked in first place in the Sharon region an seicont naitionally in this regaird. At the schuils, a zero-dropoot policy haes been adoptit that enables ivery student in Ra'anana tae complete 12 years o eddication. Ra'anana haes developed various educational models which provide assistance an extra tutorin tae students wi difficulties, sae that aw students mey maximize thair personal potential an fynd a suitable place in the municipal educational framewirks. Educational programs for giftit students stairt in the third grade. A program for encouragin girls tae study technological subjects haes been developed as well as a technology-focused leadership development an information management program, the first o its kynd in Israel. The program, creatit in conjunction wi "Ness Technologies", uises advanced technology as a catalyst for developin skills. Ra'anana haes developed supplementary eddication programs for the efternuin an forenuin oors, which meet the needs o thoosans o childer, aged 5–18. Thir programs foster creativity, promote social involvement an cultivate leadership skills. The supplementary eddication projects include ower 20 "Batei Talmid" ceetywide extracurricular programs, an efternuin daycare program, an muisic, dance, airt an science centers. Ither programs include simmer camps an simmer activities, varsity for youth, dance troupes, the Childer’s Parliament, an actin schuil, a schuil for the performin airts, an giftit childer programs, that serve as a model for mony ither ceeties. Ra'anana is hame tae the Open University an the Ra'anana College. The pairk o Ra'anana is the lairgest urban pairk in the Sharon region. It affers walkin andbike paths, sports fields, a zoo an childer's pettin corner an a lake in a clover shape reminiscent o Ra'anana's coat o airms. Thare are twa funtains in the lake an pedestrians can cross ower it on the brig. The lake is surroondit bi special gardens, includin the Seiven Species gairden, an shadit walkin paths. Thare is an' a' a restaurant an sma airt gallery. The Founders Museum presents the story o Ra'anana's oreeginal settlers, frae the arrival o the Ahuza Alef-New York Association till Ra'anana achieved local cooncil status in 1936. Ra'anana is hame tae the Loewenstein Hospital Rehabilitation Center. Loewenstein wis established in 1958 an is the anerlie rehabilitation hospital operatit bi Clalit Health Services, Israel's lairgest heal care provider. It's current multi-floor biggin is situatit in a lairge gardened aurie an accommodates 240 rehabilitative beds for short an lang term hospital care. As a naitional rehabilitative center, patients are admittit frae aw pairts o the kintra, aw heal funds, frae the Meenistry o Defence, the Meenistry o Health, an frae general hospitals an clinics, baith frae Israel an owerseas. The main soccer club o the ceety is Hapoel Ra'anana. In basketbaw, the ceety is representit bi Bnei Hasharon who play at the MetroWest heich schuil. Wi a lairge population o American expatriates, the Ra'anana Express are an inaugural team in the Israel Baseball League. The Ra'anana Roosters are the local rugby team, an the aurie is a centre o rugby union in Israel, wi the Israel Rugby Union bein based thare. ↑ Hoffman, Carl (2006-09-07). "Ra'anana's French revolution | Features | Jerusalem Post". Jpost.com. Retrieved 2009-05-06. ↑ "Loewenstein Hospital Rehabilitation Center". Clalit Health Services. Retrieved May 23, 2011. ↑ 8.0 8.1 8.2 8.3 8.4 8.5 8.6 8.7 8.8 "Ra'anana Twin towns & Sister cities - Friends around the World". raanana.muni.il. Retrieved 24 March 2010. Wikimedia Commons haes media relatit tae Raanana.